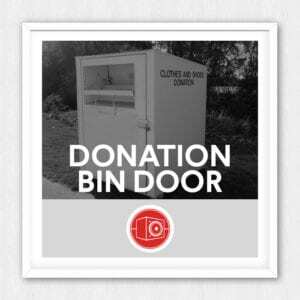 This is a metal clothes donation bin door, kinda like an oversized mailbox. It’s got a great screech to it and a little chain for extra character. In the demo, as each sound plays, one octave lower version of the same sound plays immediately after to show how well these pitch. Awesome source material for designing larger doors.